MOSCOW (Sputnik), Anastasia Levchenko — On Friday, a remarkable book by Pushkin-Lowenfeld, a mirror-image Russian-English edition with over 140 of Pushkin’s most beloved poems, most of "Eugene Onegin" and the poet’s biography, was presented to the public for the first time at the memorial apartment of Pushkin in Moscow. Once a successful lawyer at an American firm, with an office on the 38th floor of a skyscraper and a spacious apartment with a fantastic view of New York, one day Lowenfeld made the brave choice to abandon it all and join the world of Russian poetry. "My Russian teacher was telling that it was impossible to translate Pushkin, that no foreigner would ever understand Russia. And I thought: I am a foreigner… I didn’t know Russian at all, and I learned it, I came to love it. So if I did, it’s not impossible." With the help of a teacher in Saint Petersburg, Lowenfeld managed to learn the Russian language so well that he started feeling it, which is essential for writing in it, and particularly for translating poems. "Another important thing for me is the melody, the music of a poem. I am a composer myself," the poet said. Indeed, in all of Lowenfeld’s translations one can always discern the exact melody of Pushkin’s rhythm, which is impossible to find anywhere else in English-language versions. Lowenfeld does no regret having a job so far removed from poetry. Actually, at time being a lawyer even helps him, allowing to distance himself from what he is writing as far as he needs to "empty the mind" and let fresh and better ideas take form. "If I am sitting in the office and looking at all these contracts… Sometimes I just hear it. It’s like switching gears. One needs to treat all challenges that he is given as a gift." Looking back at the path he has taken, Lowenfeld calls Pushkin his main achievement and "the Russian Everest." He says that he had no fear when embarking upon that path — he just had a deep inner confidence that he would make it. "It really bothered me that there was nothing in English, there were no translations that could remotely come close. Instead of complaining I decided to do something about it." At the same time, Lowenfeld is very self-critical. Opening his book at the presentation and reading the poems aloud to the rapturous audience, he still manages to see parts that could be improved on. To him, nothing can ever be perfect; criticism is an inseparable part of creation. "The best test is the goosebumps," he said. "Either I spend time writing or I spend it probably sick in the hospital. It’s like prayer…" the poet explained. In the process of getting to know Russia so well, Lowenfeld admits that he has become Russian himself. He thinks and feels in Russian, and calls the country his home and land, which he would like to see as his final resting place. Lowenfeld hopes that his mirror-image book of Pushkin translations might help Russians and Americans to understand each other better and see that they actually have much more in common than might appear on first reflection. "I think that Russia and America deep down in their souls are near images. They spread the continent sea to sea. They are not just one ethnic group, not just one religion, they both have the idea… I think sometimes it’s like mirror and mirror, it’s a shadow game," Lowenfeld said. It scarcely bothers Lowenfeld that Russian poetry might remain unpopular and unheard by most US readers, as he writes for "the lovers, poets, people who have heart and soul," even if it is just one person. It is also remarkable how deep and subtle the poet’s understanding of the Russian national character is. "One element of the Russian character is fullness. Another thing is the desire to ‘live, to ponder, wrack, and pine’ [from Pushkin’s "Elegy," 1830]. There is no masochism about it at all. It’s about serving, about service. There is a spiritual element in it," Lowenfeld said. Smiling, he also mentions the Russian tendency to accept "all the extremes – when they are good, they are really really good, when they are bad, they are horrible." Moreover, there is a widespread misconception that foreigners have "that Russia is an eternally gloomy, cold, dark, miserable place where everyone is clinically depressed and cruel to each other, with no sense of humor. Nothing can be further from the truth. There is a much better sense of humor here, and, on average, people are much kinder," the poet said. Talking about humor, Lowenfeld makes reference to the hilarious works of another Russian classic author, Nikolai Gogol. "We [Americans] don’t see this fun side of Russia. If we did, it would be so much easier to find common ground. And you know, maybe it would help Russians to see that not all Americans are Jen Psakis." "I keep learning from Pushkin…" the person, who knows every single line written by the genius of Russian literature, said. There are many authors who use their talent to spill their anger, resentment, their hurts, their sarcasm and irony, Lowenfeld explained. 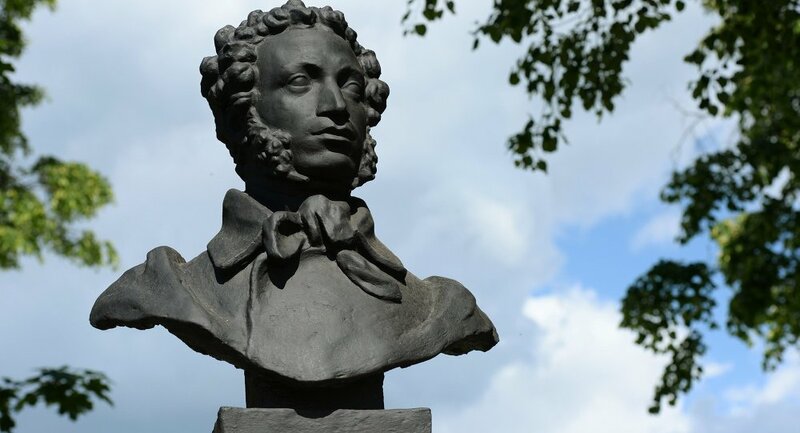 Pushkin also has poems influenced by his bad mood or resentment. Yet, even in these works, one can always feel that "above all there is love, and above all there is inner harmony." "There is something about Pushkin that makes you want to call people that you love and tell them that you love them. He makes you want to keep your promises. He makes you a better person. I know where I was before, and where I am now, and I give a lot [of credit] to him," the American with the Russian heart said. Lowenfeld says the main thing he learned from Pushkin is the ability to accept all sides of himself, without denying or pushing away any of them. This is what he calls the real service of everyone’s life, the service to yourself and to God. The best thing about Pushkin’s teachings is the manner by which he does it – he never imposes any ideas on a reader’s mind. 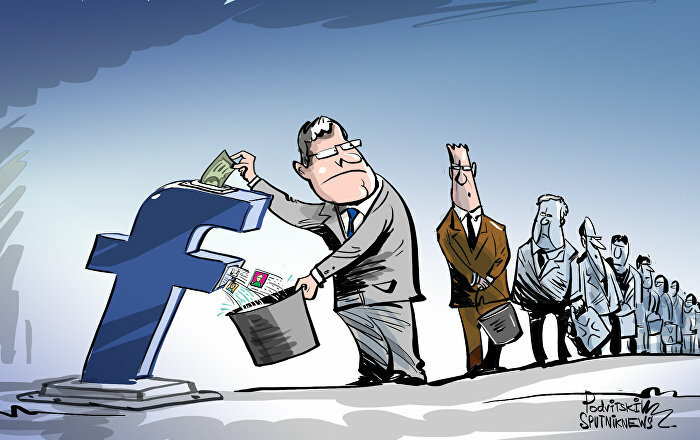 Instead, he trusts his readers and gives them complete freedom in choosing the way they wish to follow. "If the Russian national poet is such a freedom lover and such a humanist, then that speaks of the Russian character," Lowenfeld said. And long live your sunshine that vanquishes dark! "I want people in the United States to hear this sun and this light as a Russian value as well."